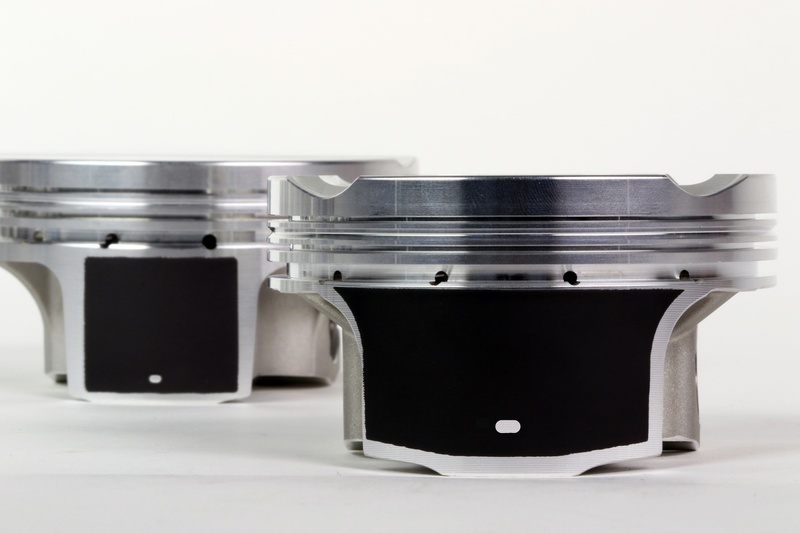 What is Electroless Nickel Coating for Pistons? JE's electroless nickel (EN) coating offers detonation resistance, heat reflection and can help with ring sealing. 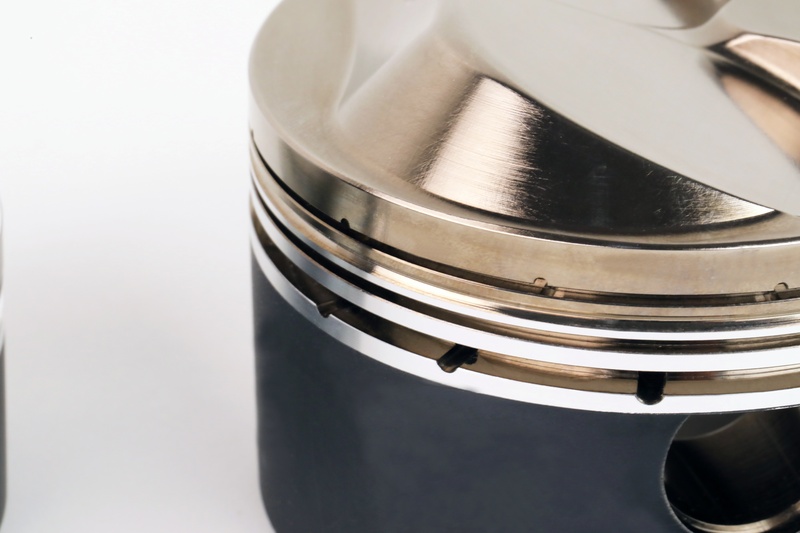 Check out all of the benefits of this piston technology. 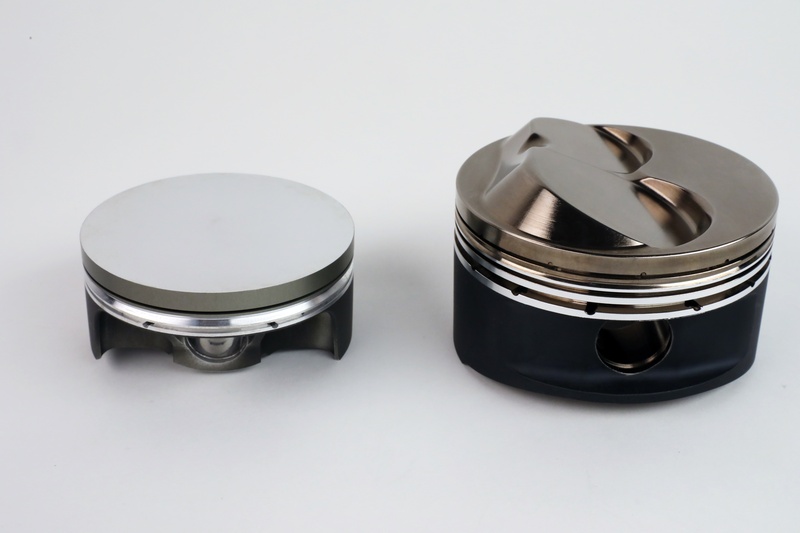 It’s not often that you get two-for-one benefits from a single option when custom ordering pistons, however, electroless nickel (EN) plating is one of those technologies that pays double rewards. Unlike other plating techniques—such as gold or chrome plating—where an electrical current is required to apply a thin layer of one metal upon a different metallic object, EN is a process that applies a nickel-phosphorus coating on another metal by chemical reduction. We’ll address the process in more detail later, because engine builders are more interested in how the plating improves piston performance. Electroless nickel plating (EN) has many benefits including heat control, and detonation resistance. One of its strong points is how it easily adheres to the piston surfaces, even in the tiniest spots. In effect, EN plating the dome and top ring groove provides benefits similar to applying a ceramic thermal coating to the crown—which is helpful in withstanding detonation—and hard anodizing the ring groove. The upside, of course, is that a single EN plating is less expensive than those two separate processes, especially the hard anodizing. While hard anodizing the upper ring groove is necessary to help keep thin racing rings from micro-welding to the piston, it’s not a desired feature for the crown. The anodizing acts like a blanket that retains combustion heat absorbed by the piston. After repeated heat cycling, the aluminum eventually anneals itself. That’s not an issue with EN plating. Unlike other coatings, such as hard anodizing (left), EN is very easy to apply and also much more affordable. It can also be combined with other treatments, such as Tough Skirt coating, for added benefits in reduced friction and skirt protection. EN plating is a versatile process. It’s been used on connecting rods, replacing the bronze bushing needed to run DLC-coated wrist pins. As mentioned earlier, an electrical current is not required to apply the coating. 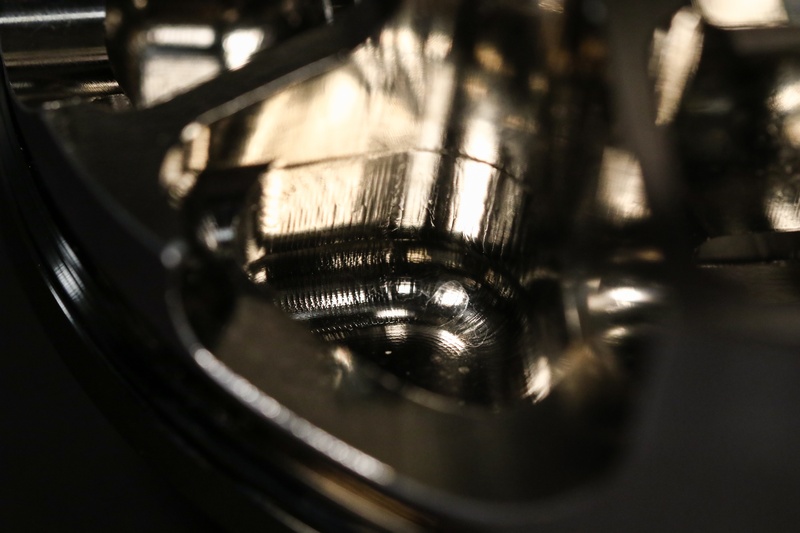 Rather, the coating is deposited onto the piston surface by using chemicals like sodium hypophosphite or boron hydrate to reduce the nickel ions to metallic nickel. When properly applied, the coating—which is 25 to 100 microns thick—is uniform, increases the metal’s hardness and is resistant to corrosion. The process is less expensive than electroplating because a significant power source isn’t needed. By plating the ring grooves, thinner piston rings can be used. This step, in turn, reduces friction and frees up horsepower and improves fuel economy. Thinner piston rings, which also have a narrower radial wall thickness, require much tighter clearances inside the ring groove to help ensure they remain flat on the groove surface during operation. JE has a coating for every job. Our newest, Perfect Skirt, eliminates false knock and piston slap, which extends piston longevity in street applications. Even though the rings are narrower, they actually have more surface-area contact with the piston groove because of the tighter clearance. Basically, there is less “fluttering,” and the ring lies flat on the surface much longer. But as it moves inside the groove, enough heat can build that could lead to micro-welding the ring to the piston. “If you wanted to maximize a circle-track engine, you would coat the groove so you could minimize the ring’s axial height,” says DiBlasi. Adding that the EN plating increases the surface hardness to prevent micro welding. EN plating is available in custom order following consultation with JE tech reps. Unlike hard anodizing, which is the last step performed on a custom piston, EN plating requires final machining and finishing before delivery to the customer. EN lays so flat and precise it can actually improve ring groove flatness and won't clog precision features such as gas ports and forced pin oilers.